Bob Stanley’s history of pop Yeah Yeah Yeah, reviewed. Even a history of pop can’t help but skew toward rock. 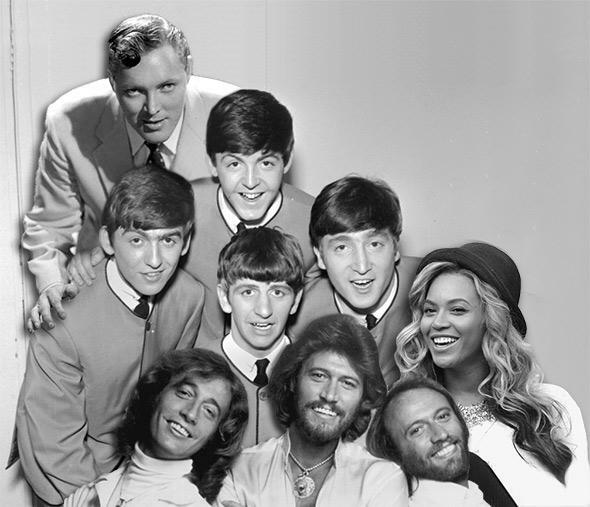 From top to bottom: Bill Haley, the Beatles, Beyoncé, and The Bee Gees. To paraphrase Avenue Q, maybe everyone’s a little bit rockist, sometimes. In his new pop music history Yeah! Yeah! Yeah!, which mounts its British Invasion this month, Bob Stanley doesn’t shy from wielding the R-word to bash those who fetishize the rusty old cornerstones of rock at the expense of the shinier hallmarks of pop. 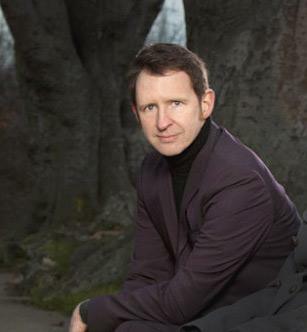 Though pop-leaning critics have ascended to prime perches at places like the New York Times, The New Yorker, NPR, and Slate, Stanley warns in his introduction that “rockism still exists” and mourns the fact that “disco and large swathes of black and electronic music have been virtually ignored by traditional pop histories.” In case his allegiances weren’t clear, the American edition comes covered in bubblegum pink, topped with controls that resemble those of an iPod, and subtitled with the good news that though The Story of Pop Music may kick off with Bill Haley, it leads up to the coming of Beyoncé. But that introduction and this shiny packaging (redesigned from the British version) may leave some pop fans confused at what follows. Yeah! Yeah! Yeah! does chronicle the emergence of disco (whose legacy hardly needs explaining anymore in the era of Daft Punk, EDM, and The 20/20 Experience), the importance of Motown and Philly soul, and the influence of house music pioneers like Larry Levan and the recently departed Frankie Knuckles. But the book’s staggering eclecticism only makes it all the more disappointing when Stanley falls into some of the same pitfalls he cautions about, failing to grasp the appeal of large swaths of hip-hop, and, more fundamentally, structuring itself around the familiar story of rock. In other words, it’s a reminder of how it is easy to call yourself an “anti-rockist” and still find yourself skewing subtly conservative. Part of this might be explained by the fact that Stanley is British. It’s true that the story of pop music is in large part “the story of the intertwining pop culture of the United States and the United Kingdom,” as Stanley writes, but it’s especially true when it comes to the rock era. Stanley keeps an eye on both sides of the pond throughout—as they close in on each other in the ’60s and grow apart again—and the time he spends dwelling on the British charts will be alternately intriguing (a glimpse of an alternate pop history) and puzzling to those with American backgrounds. Yeah! Yeah! Yeah! reserves twice as much real estate for introducing British pop star Billy Fury as it does for Chuck Berry, as it argues that Fury was the blueprint for the British pop star. Discussing Phil Spector, Stanley interweaves his story with the equally tragic tale of his transatlantic rival, the record producer Joe Meek. Yeah! Yeah! Yeah! is not a short book at about 600 pages, but given the scope of the subject, Stanley rarely has the space to put forth compelling arguments about more established stars. How could you change someone’s mind about Bowie or Britney if you’ve only got a couple of pages? He has more luck with the Bee Gees, who get their own chapter. Still, though it’s more of a survey course, he manages to get in some good lines. Joni Mitchell’s The Hissing of Summer Lawns, he notes, is “maybe the most self-descriptive album title in all pop, apart from Trogglodynamite by the Troggs.” Sketching a picture of Elvis Costello, he writes he “wrote pun-packed songs while singing as if he was standing in a fridge.” Because he is a musician, Stanley also drops some musicological knowledge—which should please Ted Gioia—while making the equally admirable call to comment on which singers and band members were (or were not) super-cute. Like it or not, this is an important part of pop history. Though it’s not as contrarian as the #slatepitchily titled How the Beatles Destroyed Rock ’n’ Roll, the book is pleasant to argue with. The only time I was tempted to go all Keith Moon on my copy was as it became clear what short shrift later chapters would give hip-hop. Stanley fails to see any political significance at all in gangsta rap (something that’s perhaps harder to do 5,000 miles from Compton). “By the end of the nineties hip hop had become part of the furniture,” he writes, acknowledging only that the genre “continues to make money, whether it’s inspiring or not.” Ice-T gets a mention, but there’s no such luck for Nas, while Tupac is dismissed in an aside for being humorless. Yeah! Yeah! Yeah! : The Story of Pop from Bill Haley to Beyoncé by Bob Stanley. Norton.